…maybe something about a deficit? Now with less than 8 months to go until the General Election, Conference-weary Labour supporters will now be asking themselves one question; was it all worth it? 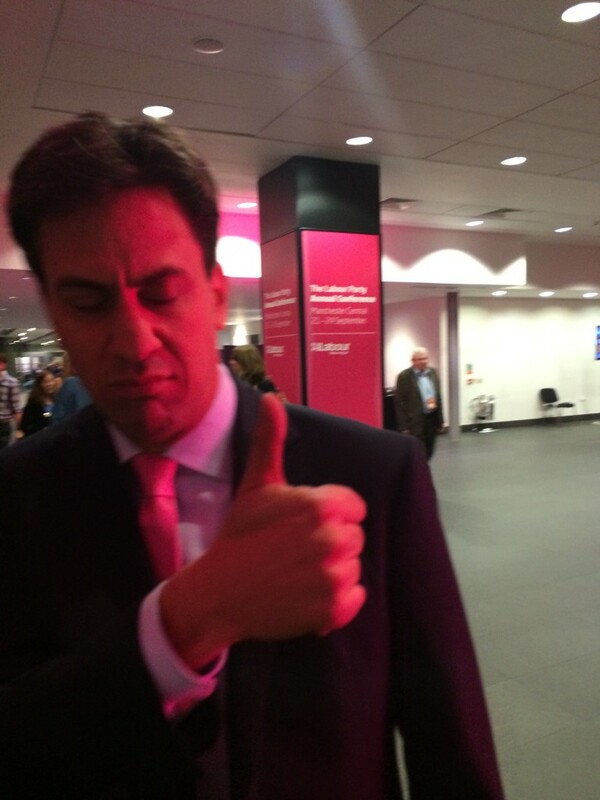 WINNING CAPTION: Mr Miliband, will you be addressing next year’s Conference as the British Prime Minister? Political Intelligence was proud to sponsor the first TechCentral at this year’s Labour Party Conference. We will be doing so again at the Conservative and Liberal Democrat Conferences in the next couple of weeks.